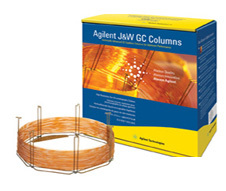 GC-MS columns are capillary columns which direct effluent from a sample into a mass spectrometer, where a spectrum of each component is obtained. Bench top GC/MS instruments are becoming increasingly popular in the analysis of a widening range of trace level and higher temperature samples, creating a need for increasingly inert, lower bleed, higher temperature columns. Once submitted, we will try and place you in contact with a suitable GC/MS Columns supplier within 48 hours.